There are wider doorways, a ramped porch, stairwell treads and even an elevator to accommodate the aging of its four inhabitants. 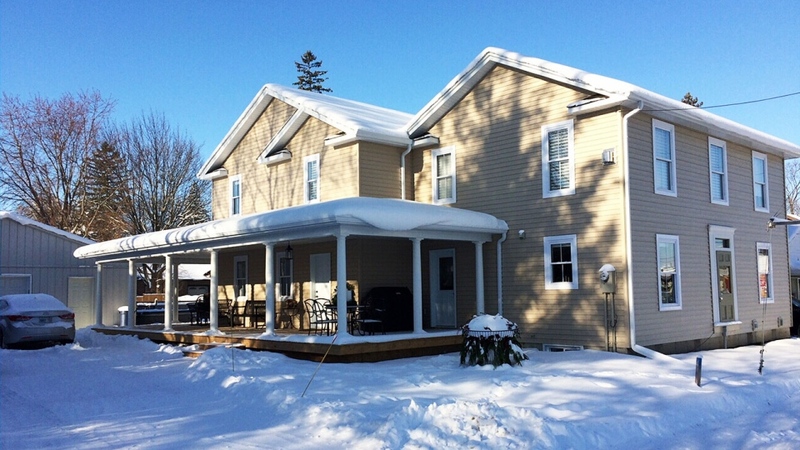 The beautiful 3,400-square-foot home in downtown Port Perry, Ont. is shared between four senior friends, aged 65 to 71, who decided that living alone or in a retirement home just wasn’t for them. Beverly Brown, Louise Bardswich, Martha Casson and Sandy McCully have been dubbed the real-life “Golden Girls” by the media for their unorthodox living situation. The four women moved in to the newly renovated home in November. They each paid $250,000 for their share of the ownership costs and spend approximately $1,500 a month on living expenses such as, groceries, utilities, and cleaning services. They share common areas such as the living room and kitchen (where they take turns cooking) and each housemate has her own large bedroom and bathroom. Casson told CTV’s Your Morning during an interview with her fellow housemates on Friday that the group had to downsize in order to fit all of their belongings. If they had duplicates of household items (they had 24 spatulas at first) they simply took the best quality one and kept a second one as a backup. “We have two Keurigs!” Casson said with a laugh. Bardswich explained that she and Casson came up with the idea quite a few years ago. She said she was helping her mother move in to a retirement home at the time and she realized it wasn’t for her. Bardswich also said the rising costs of senior homes made the future prospect of living in a home herself seem unattainable. “[We] realized there was a huge saving in staying together compared to living alone, plus the obvious, just making sure the cat isn’t eating your face when you fall down,” Bardswich joked. 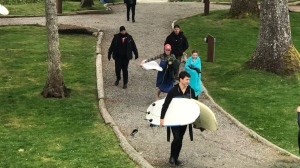 After talking or “interviewing” numerous candidates to live with them, which Bardswich said was surprisingly difficult, they managed to find Brown and McCully. The group stressed the importance of finding “like-minded” individuals in order to ensure a smooth living arrangement. Brown said the friends always try to be cognizant of each other’s feelings. The women “get it out there” by writing down a list of issues that are bothering each other and that need to be addressed. “It’s usually over a glass of wine at supper time,” Bardswich chimed in with a laugh. Besides their list of grievances, McCully said the housemates keep the peace by abiding by a set of “house rules,” such as not entering each other’s bedrooms without permission, not having a pet without consulting the others and limiting the number of times a date comes over to the house so that someone doesn’t “accidentally” move in with the women. Unless, of course, the new partner is useful around the house. “If somebody’s partner is a great gardener and a good cook, I mean, we’ll certainly welcome them as a couple then,” Casson joked. When it comes to potential legal concerns the women have that covered as well. Casson explained that the housemates prepared a comprehensive agreement to sort out issues such as what would happen if one of the co-owners were to sell her share, becomes debilitated or die. McCully said sharing expenses has been one of the biggest benefits of living with her new housemates. “Everything I was paying for in my own house on my own is now split by four,” she said. Bardswich added that the companionship helps too. “Just the social part, not being lonely,” she said. 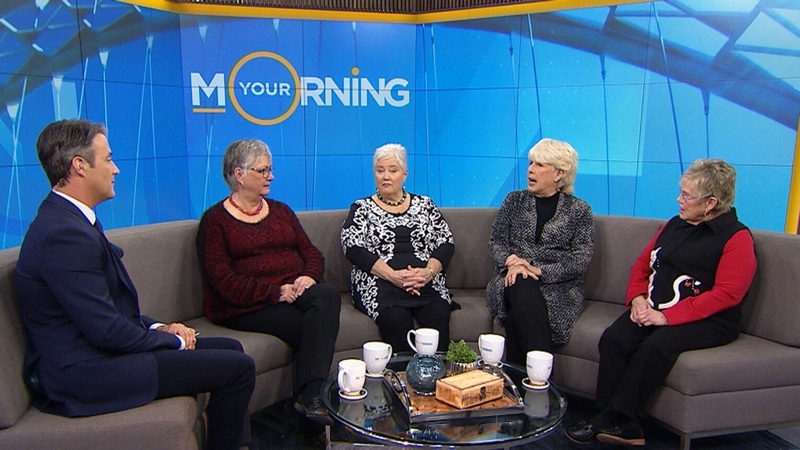 Beverly Brown, Louise Bardswich, Martha Casson and Sandy McCully appear on CTV's Your Morning on Friday, Feb. 3, 2017. This beautiful 3,400-square-foot home in downtown Port Perry, Ont., is shared between four senior friends, aged 65 to 71, who decided that living alone or in a retirement home just wasn’t for them. 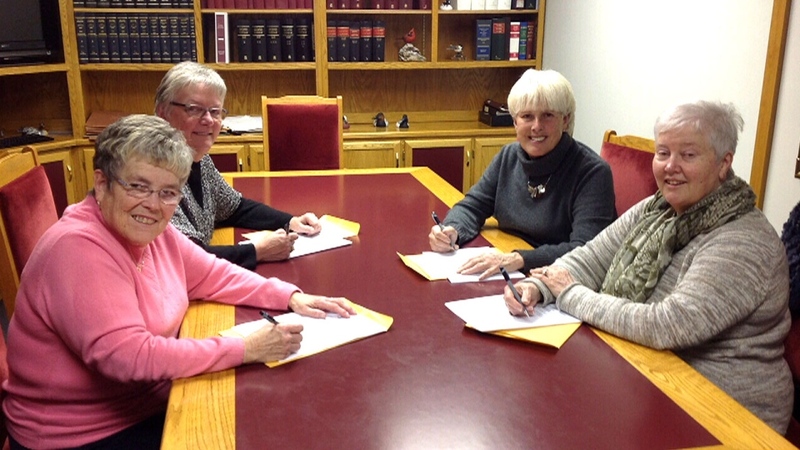 The four women evenly split the cost of the home as well as additional living expenses.